Today, we’d like to answer that same question, which has been recently asked in a different way, with the same answer: NO. We’re bringing this up today because on the “Newser” website (like many other American media) has just published an AP article by Suzanne Gamboa (evidently of Basque heritage) analyzing the concept of “Hispanic” in the US according to how members of the US House of Representatives are classified and how they classify themselves. 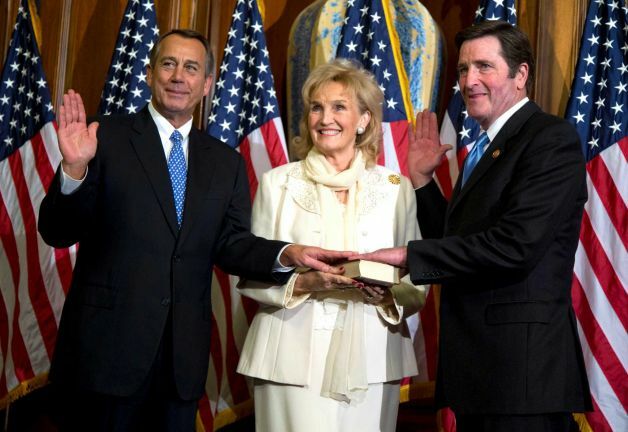 Congressman John Garamendi (D-CA3) doesn’t feel that he’s Hispanic, because he defines himself as “Basque”. The truth is that the concept of “Hispanic” in the US is wide and broadly applied. It can be applied equally to a blond, blue-eyed Galician and to a Guatemalan who’s family has always lived there, meaning it’s not an ethnic concept. It’s equally applied to a person whose cultural origins are from Castile, or Portugal, or Catalonia, so neither does it apply to cultural or linguistic origins. As far as Basques are concerned, if a Basque-American whose origins are from north of the Pyrenees can’t be catalogued as Hispanic, neither can one whose origins are from south of the Pyrenees. The Basques on both sides of the mountains come from the same culture, and they are neither Hispanic nor French. They’re Basques. There is no dispute about the Senate, which has three Hispanic senators. The House, however, is another matter. The House Press Gallery, an administrative office of Congress that helps media and House officials get the data and background they need, counts 33 Hispanic representatives in the 113th Congress, not including delegates. The Congressional Hispanic Caucus Institute, a nonprofit affiliated with the caucus, puts the number at 31. The National Association of Latino Elected and Appointed Officials tallies 28. The conflicting numbers on Capitol Hill illustrate just how elastic Hispanic identity can be. Previous articleNational Geographic 1968: A look back, to 45 years ago, at the heart of the Basque Country.